Ready to Ship- Compound curve Purple & Black Checkers! Super hot pattern! These are designed for 700c wheel sizes and are 2" wide measured across the width of the fender. If you want something that ABSOLUTELY NOBODY HAS these are it! 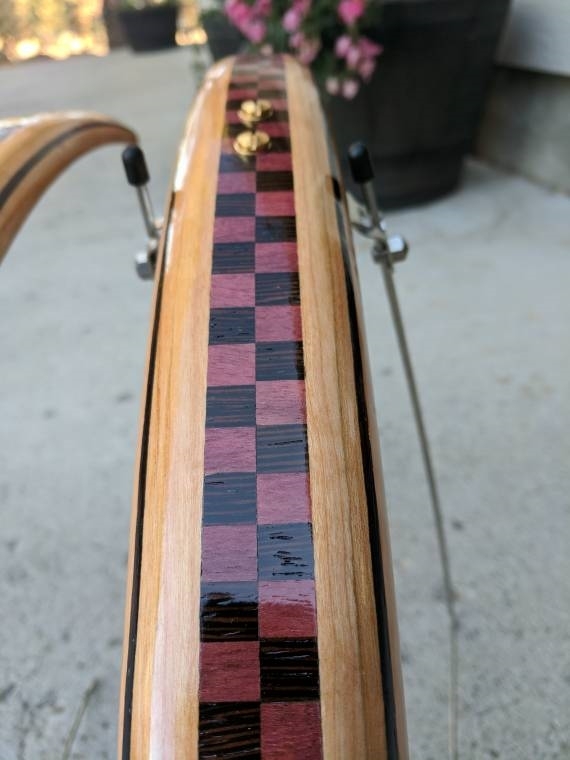 Killer pattern hand made by yours truly from a checkerboard pattern of black Wenge and Purple heart woods. The main body of the fenders is Cherry which will darken over time to a nice rich honey color. Fender set comes complete with both the front and rear with all mounting hardware. Signed and dated on the underside. 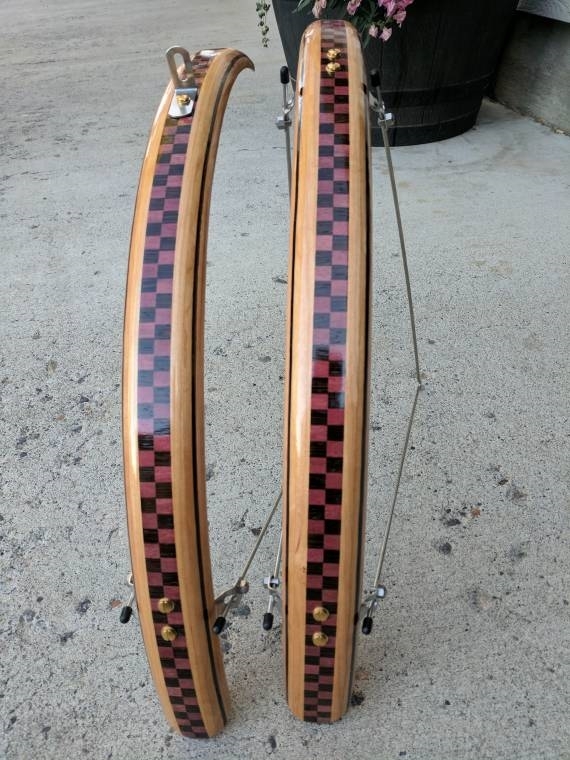 Ready to ship- Jeff D special Ready to ship- Classic woods 700c Ready to ship- Bamboo Ready to ship- Walnut with Wenge stripe 26"